We told you just recently about the invites that Facebook has sent out, asking the press to join Mark Zuckerberg and co at the company’s Menlo Park HQ. Whilst the invite makes mention of a new home on Android, the context of such a phrase was rather cryptic, leaving us all to wonder just what Facebook has up its sleeve. Now, thanks to claims by a fellow blog, it seems we may have some answers. According to sources familiar with the matter, Facebook Home is actually a product, with the social networking firm set to announce its very own forked version of Google’s Android mobile operating system. Amazon already offers devices that are running Android underneath but with a heavily customized and re-written interface over the top of it. Facebook, according to those sources, is set to do something very similar. Hardware wise, Facebook has reportedly teamed up with HTC once again. 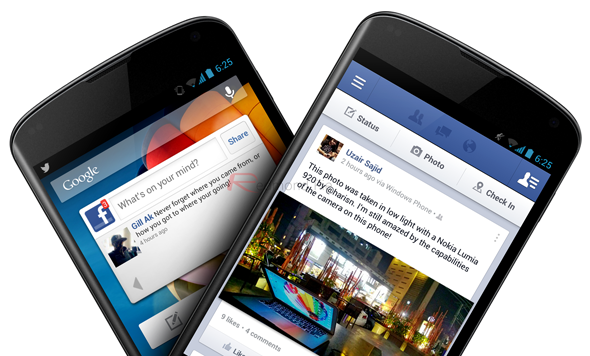 The pair have history, with HTC offering two Android phones with dedicated Facebook buttons in the past. These two handsets – the Salsa and the ChaCha/Status – were believed to be Facebook phones before their launch, and it would appear that we may finally be set to see a true Facebook smartphone from HTC. The rumored handset is believed to look rather like an oversized iPhone, with carriers and other logistics still being ironed out by both Facebook and HTC. We don’t yet know how the software will work, either. Will it come with any Google apps installed, or will it even support Google Play? If Facebook makes a play for the app store market alongside Amazon, then things could really begin to sizzle over in Android world. Google is already very much aware that control of the Android ecosystem may be slipping away, and a player like Facebook could potentially hasten that demise. April 4th is the day that all will become clearer, and until then we’ll have to keep our ears to the ground for more information that begins to leak out of either company. The fact that there are no carrier details yet has us wondering how far out a potential release date could be for the Facebook Home phone – E.T. Phone Home? – but we’ll just after wait and see. Will you be looking at picking up a Facebook Home? Let us know in the new fangled comments below!